I am going to interrupt my vacation pictures because last night I went and saw Tom Jones in concert. Make fun if you will, but I love me some Tom Jones! He was absolutely incredible. The other thing that was so incredible were our seats. We sat in the second row back from the stage. Never in my concert going life have I ever been so close to the stage. At 76 years of age, he still looks damn good!! 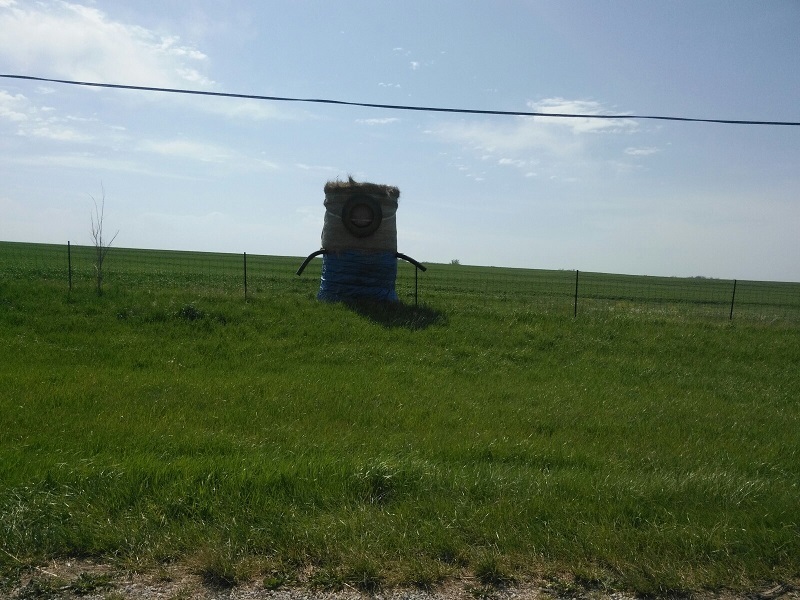 There is a farmer on my way to work that periodically creates art out of hay bales. Here they have created a minion from Despicable Me.